Charged with a DUI in the Bay Area? Amy only takes DUI cases. She will be investigating your case personally. She will be the attorney attending your DMV hearing. NO other attorney will be taking over your case. Amy Morell has won DMV hearings, saving her clients' licenses from being suspended and their insurance rates from increasing. She brings insight, experience, expert knowledge and opinion to the table for your benefit, with a dedication to meet her client's needs and objectives specific to their case. 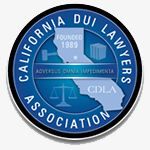 Below you'll find a brief description of the various California DUI charges that concern you. 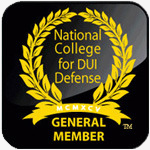 For Questions or legal counsel - contact Amy Morell - she is aggressive and proactive on all DUI cases. Typically a violation of Vehicle Code Section 23152(a) and 23152(b). Most people are cited for these offenses on their first arrest for DUI. Vehicle Code Section 23512(a) states that it is unlawful for any person who is under the influence of any alcoholic beverage or drug, or under the combined influence of any alcoholic beverage and drug, to drive a vehicle. Vehicle Code Section 23152(b) states that it is unlawful for any person who had a .08 percent or more, by weight, of alcohol in his or her blood to drive a vehicle. Penalties can include court probation, fines, DUI school, jail time, work program time, license suspension and an ignition interlock device. Legislation in 2005 increased the look back time for priors from a 7 year time period to a 10 year time period for DUIs. The clock runs from the date of arrest to the date of arrest. 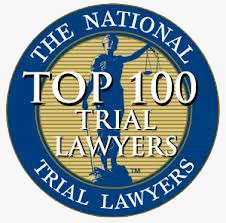 There are many defenses to proving the "priorability" of a second DUI. Penalties can include court or supervised probation, fines, schools, jail time, work program time and license suspension or revocation. Legislation in 2005 increased the look back period for prior DUIs from a 7 year time period to a 10 year time period. The clock runs from the date of arrest to the date of arrest. There are many defenses to proving the "priorability" of DUIs. Felony drunk driving due to prior convictions can be charged as "wobblers", meaning the prosecution can charge the offense as a felony or a misdemeanor. Felony drunk driving can also be charged where there was a prior drunk driving conviction punished as a felony. Vehicle Code Section 23153(a) and (b) are identical to 23152(a) and (b) above, but also include two additional allegations that concurrently with driving do any act forbidden by law or neglect any duty imposed by law in driving a vehicle which act or neglect proximately causes bodily injury to any person other than the driver. Penalties can include prison time, fines, schools and treatment programs. Vehicle Code Section 23136 states that it is unlawful for a person under the age of 21 years who has a blood-alcohol concentration of .01 percent or greater, as measured by a preliminary screening test or other chemical test, to drive a vehicle. Although, this section is an infraction, the person is subject to both criminal fines and a suspension of driving privileges. Vehicle Code Section 23140 makes it an infraction for a person under 21 to drive with a blood alcohol level of .05% or higher. The penalties include a fine, schools and license suspension. 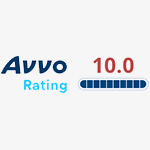 However, the person can apply for a critical need license. A "refusal" or where the subject did not take a chemical test is charged under Vehicle Code Section 23152(a) with a sentence enhancement under Vehicle Code Section 23577. Penalties for a refusal are the same as above for a first offense, but may include additional jail time and/or work time. Vehicle Code Section 23152 and 23153(d) create a .04% drunk driving offense for commercial drivers. Penalties are the same as above for a First DUI and can also include a one year suspension on the commercial driver even if the DUI was not committed in a commercial vehicle. A second offense DUI can result in a lifetime revocation of a commercial driving privilege. Harbor and Navigation Code Section 655 outlaws various types of offenses relating to operating a boat while under the influence of alcohol and/or drugs. Penalties can include probation, fines, DUI schools, but no driver license suspension. Also, this crime may be eligible for diversion in some counties. Vehicle Code Section 23152(b) states that it is unlawful to drive under the influence of drugs alone, whether or not prescribed or legal. Penalties include probation, fines, schools, jail time, work time and potential license suspension. A DUI where an accident has occurred can be charged as a "regular" DUI if no one was injured. If someone was injured, other than the driver, the charge can be a violation of Vehicle Code Section 23153(a) and 23153(b) and charged as a misdemeanor or a felony. The penalties can include all First penalties if charged as a misdemeanor plus additional jail or work time. If charged as a Felony DUI, see above for those penalties. Vehicle Code Section 16025 requires any driver involved in an accident, if the other driver or property owner was also involved in the accident and also present, to exchange information. Vehicle Code Section 20002 is a misdemeanor if the person fails to stop at the scene of an accident with property damage only and requires the driver to supply information. Penalties include jail time and a fine. The DMV has discretion to suspend driving privileges. Although incorrectly charged as an "enhancement" to DUI by some prosecutors, Vehicle Code Section 23578 is not actually an enhancement to a DUI charge. This section merely gives the court authority to consider a blood alcohol level of .15% or more as a special factor for justifying enhancing the penalties already associated with DUI. Penalties include a longer DUI school and/or additional jail time. Penal Code Section 191.5 states it is unlawful to kill a human being without malice aforethought in the driving of a vehicle where the driving is in violation of Vehicle Code Section 23140, 23152 or 23153 and the killing was either the proximate result of the commission of an unlawful act, not amounting to a felony or lawful act which might produce death, in an unlawful manner without gross negligence. Penalties include jail time or prison time. Penal Code Section 191.5(a) states it is unlawful to kill a human being without malice in the driving of a vehicle in violation of Vehicle Code Section 23410, 23152 or 23153 proximate caused by the commission of an unlawful act, not amounting to a felony or a lawful act which might produce death, in an unlawful manner, with gross negligence. Penalties include state prison time. 36 Code of Federal Regulations Section 1.2 prohibits operating or being in actual physical control of a motor vehicle while under the influence of alcohol or drugs, or any combination thereof. Section 4.23(a)(1) establishes a per se violation for this offense. Penalties include federal penitentiary, fine, supervised probation, testing, search and seizure and travel restrictions. Vehicle Code Section 23582 states that a DUI charge can be enhanced if the defendant either drove recklessly; drove more than 30 mph over the limit on a freeway; and/or drove 20 mph over the limit on any other roadway. Penalties include 60 days in the county jail. Vehicle Code Section 23572 provides an "enhancement" to the charge of DUI if a minor under the age of 14 was a passenger in the vehicle at the time of the offense. The penalties include imprisonment of 48 continuous hours in the county jail, whether or not probation is granted, no part of which shall be stayed. Vehicle Code Section 23103.5 is typically plead to where the charges are reduced from a DUI. It is commonly referred to as a "wet reckless." Penalties include probation, fines and school.